NEW SHOP AND NEW PATTERN! I have been working towards and looking forward to this day for many, many weeks now. The exciting news is that I have a brand new shiny pattern shop! And I am very excited to also be releasing a new little pattern .... the Mini Miss Polly pattern in collaboration with the wonderful Soft Cactus Fabrics! You can see more about this project over on the Soft Cactus blog. If you would just like to see all the updated patterns and check out the new Mini Miss Polly pattern (in English and Dutch) in the sewpony shop, go ahead and click over and I hope you will enjoy! To hear more of the story of how today's events came to be and to find out about a discount, and a special incentive...then read on! Early this year I made the decision to update all of my patterns and to change my pattern label from 'sewpony vintage' to 'sewpony'. My goal was to make all of my patterns have one cohesive look. This involved updating 22 files (instructions and all pattern files), which took me.....quite a while! I began this task in January and worked on and off through the weeks to streamline my patterns and also to work on my first pattern for dolls! 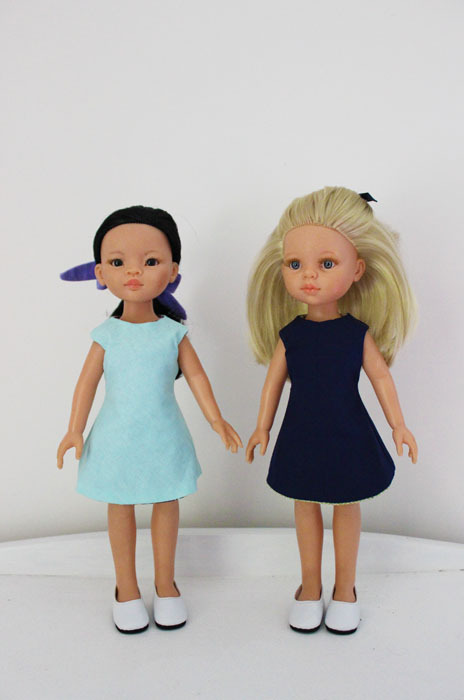 After I made a protoype of the Mini Miss Polly dress for the girls' gorgeous Soft Cactus Dolls, I contacted the lovely owners of Soft Cactus - Naomi and Bart, to ask if they would mind if I published the pattern. They were excited about the project and from there we worked together to bring you an English and Dutch translation of this pattern. It is super cute and is achievable for the novice sewer...even older children with little sewing experience could manage this pattern with some help with sewing the curves. The dress if fully reversible - so you get two dresses in one! Make sure to join the new sewpony patterns facebook group to share your creations too! Until Tuesday, you can receive a 15% discount on all of the sewpony patterns with the code SEWPONY15 (expires 9pm Melbourne time on Tuesday 11th April). Apply at checkout. Do you need another incentive? I will be choosing one of the first fifty customers to receive a lifelong supply of sewpony patterns! That is all of the existing patterns, and all future patterns. I hope you enjoy the new sewpony shop and the updated patterns. If you have purchased one of my patterns previously and would like a copy of the updated pattern, please let me know via email. And, as I promised, please stay tuned each Friday for more sewpony fun! I have some new designs, and a very exciting pattern collaboration, and another exciting sewpony collaboration to share soon! Congratulation Suz!!! Love the new look and the collaboration with Soft Cactus. Congratulations with your brand new shop! It looks really nice. 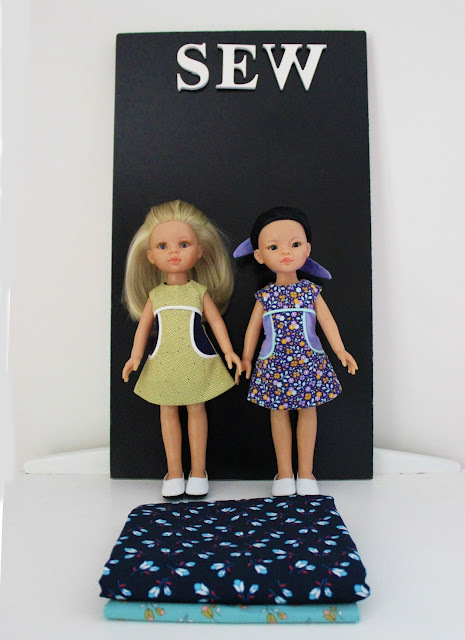 The little Miss Polly Dress was a pleasure to sew and it looks great on the dolls! A Great job! Thank you Naomi and Bart! It has been so nice working with you both!! Congrats Suz :) Your new shop looks wonderful! Yey! thank you Jenya!! And thank you for all your support! Wow! How amazing would it be to win the lifetime supply!? The site looks beautiful. Congrats! Congratulations on your site's new look! It all looks so pretty! Wow Suz! I'm so happy for you, this sounds amazing!